As we all know, the battle over medical marijuana, and the broader legalization debate, has been in the headlines for the past few years. Proponents claim it helps with everything from cancer treatment to glaucoma to anxiety. 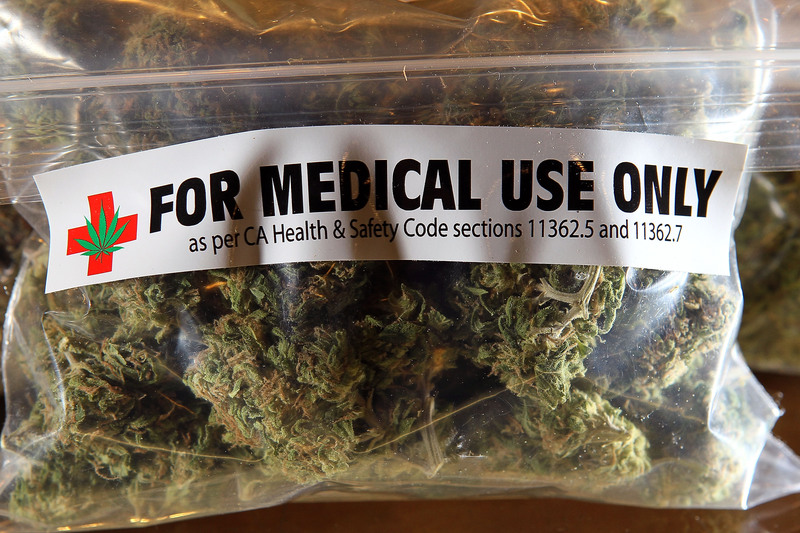 Opponents believe it has little to no medical value and should remain entirely illegal. But, in this debate, the facts are often obscured by people’s emotional opinions and pre-conceived notions. I chose to write this post specifically to bring some of the facts to the forefront. Before we begin discussing the relative merits, we should first understand how marijuana works. Marijuana is a very complex plant that contains a wide variety of chemicals that act on the human body. Primary among these is tetrahydrocannabinol, or THC, which exerts a significant portion of the plant’s effect when ingested. THC is a type of molecule known as a cannabinoid, which attach to the aptly named cannabinoid receptors found throughout the body. A variety of different cannabinoids are found within marijuana, all with different functions, benefits, and possible side effects. These receptors respond normally to the body’s natural cannabinoids, known as endocannabinoids. We know relatively little about the cannabinoid receptor system. We currently only have two receptors, CB1 and CB2, named and generally understood but studies on mice with those receptors removed still are able to feel the effects of THC to a certain extent. This suggests that there are other, possibly many other, different cannabinoid receptors throughout the body. Further research into the functions of cannabinoid receptors is a key part of understanding the various functions of cannabinoid molecules as well as illuminating wider, as of yet not well understood, elements of human biology. Cannabinoids, as far as we know, are responsible for a variety of marijuana’s medically desirable qualities. Primarily, these effects center around pain relief and appetite stimulation, though far more uses and anecdotal benefits exist, such as anti-depressant, anti-anxiety, and anti-inflammatory effects. Lets dive into some of these proposed benefits and see if there is any scientific foundation to the widely distributed claims. Pain relief: Noyes, et al., published a study in 1975 in the journal Clinical Pharmacology and Theraputics, describing the use of THC versus codeine and aspirin for the treatment of pain. They concluded that THC is effective against mild to moderate pain, but that at the higher effective doses it had significant psychoactive effects. This can limit THC’s use as a regular pain reliever, as it would cause significant impairment while performing said function. In his book “Understanding Marijuana: A New Look at the Scientific Evidence,” Earlywhine examined marijuana’s value in treating a variety of types of pain. He could not firmly establish compelling evidence that marijuana had a strong analgesic (pain killing) effect generally. He did mention evidence supporting pain relief for headaches and cancer, but by different, largely speculative mechanisms not directly related to normal types of pain. It is also thought that certain cannabinoid metabolites (the molecules created once the body processes the ones ingested) can have a stronger analgesic effect, however the specific metabolite and its full analgesic potential still remains unknown. The issue of significant impairment still remains a stumbling block for wide use of cannabinoid-based pain medications. However, anecdotal evidence for its utility in this area is plentiful, and this continues to be one of the main uses of medical marijuana therapy. There are active research efforts to isolate the effective molecule(s) for pharmaceutical use as alternatives to current pain medications. Appetite stimulation/anti-nausea: I think it is common knowledge that marijuana use stimulates appetite. Mattes, et al., published in the journal Pharmacology Biochemistry and Behavior that while the appetite stimulation effects are highly variable (with dose, environment, age, and duration of use), on the whole the effects were positive. These were especially important when combined with its proven anti-nausea/anti-emetic (prevents vomiting) properties, which make it very useful for people with debilitating conditions such as cancer and AIDS. These elements of cannabinoids are already being used in pharmaceutical drugs such as Dronabinol and Nabilone. Anti-depressant/anti-anxiety: Lemberger published an article in the 1980 edition of Annual Review of Pharmacology and Toxicology detailing a variety of potential uses for marijuana. His conclusion, based on the available evidence, was that it is not clear whether or not marijuana has a true anti-depressant and/or anti-anxiety effect or if it simply causes temporary euphoria that masks the depressive symptoms. Cannabidiol, a cannabinoid in marijuana, specifically has been shown to have some action on serotonin receptors in the brain, as well as a variety of other potential health benefits. So it is possible that marijuana could contain cannabinoids that have action similar to anti-depressants and, likewise, anti-anxiety medication. However, these particular functions are not well-defined and research in this area is not well developed, especially relative to the research done on actual anti-depressant and anti-anxiety medications. As of now, then, the data remain anecdotal. Anti-inflammatory: Lemberger also explores the anti-inflammatory properties of THC. He notes that there is some noteworthy anti-inflammatory response, specifically related to the formation of prostaglandins. This is thought to be why marijuana is considered a potential treatment for inflammatory conditions such as glaucoma and asthma. Not much is known in this area, but what is known is promising. It is pretty clear that marijuana, specifically the cannabinoids it contains, has both anecdotal and scientific basis for medicinal use. While the effects are variable and often undesirable from a pharmacological perspective, it remains that the drugs do have value in this respect. The negatives associated with marijuana use are also well known, but not particularly well-supported. A study by UCSD in 2003 showed the claims of long term memory loss, cognitive impairment, and addiction have been shown clinically to be mild to negligible. This is hardly the final say on negative effects, but at least on the face of it marijuana does not present a particularly distressing long term risk profile. The short-term side effects, largely known as a “high,” may prevent its wide adoption and use in a variety of contexts but are not known to be harmful over the long term. The negative effects largely lie in the route of administration, specifically the risks associated with smoking. In short, marijuana demonstrates medicinal value. The issue is, we still don’t know much beyond that. Marijuana and other cannabinoid containing plants should be researched more fully to better understand the full effects, both positive and negative, as well as the potential uses. The research conducted thus far, combined with many years of anecdotal reports, is compelling enough to validate this sort of research. Hope this helps, Erin! As always, feel free to submit your question at the “Submit Your Question” tab at the top of this page. Thank you, as always, for reading! Till next time, keep it real. As an addendum to your post, there is mounting evidence to suggest that Cannabis has strong anti-cancerous properties as well. In cancerous cells, as I’m sure you know, old cells’ replication mechanisms become faulty and begin rapidly and continuously replicating, creating uninhibited growth. THC and CBD (the second most prevalent compound of cannabis) attach to the CB1 / CB2 receptors and increases the weight on the cell walls of cells. When cells become old enough to become cancerous, the added weight cannot be supported by the cell wall and the cell dies before it can become cancerous. Here’s one link. In fact, the cannabinoid receptors we’re discussing in this article do constitute their own system, known as the endocannabinoid system. The two links at the bottom of this comment have fuller explanations of it in various degrees of detail. In short, the system seems to have long range effects on various body activities, including inflammation, pain reception, appetite, immune response, and so on. Our knowledge of this system is young, so further research is needed to truly understand how it all works in minute detail. Alcohol and Altitude: Do They Mix?